YEKATERINBURG, RUSSIA - Japan manager Akira Nishino said he will analyze goalkeeper Eiji Kawashima’s situation after the FC Metz custodian made an error that led to Senegal’s first goal in the teams’ 2-2 Group H draw on Sunday. 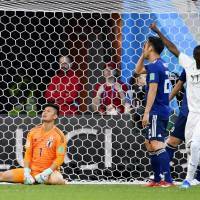 Nishino was referring to the multilingual shot-stopper’s decision to punch a catchable shot from Youssouf Sabaly, which led to the ball bouncing off Mane’s knee and into the back of Japan’s net. 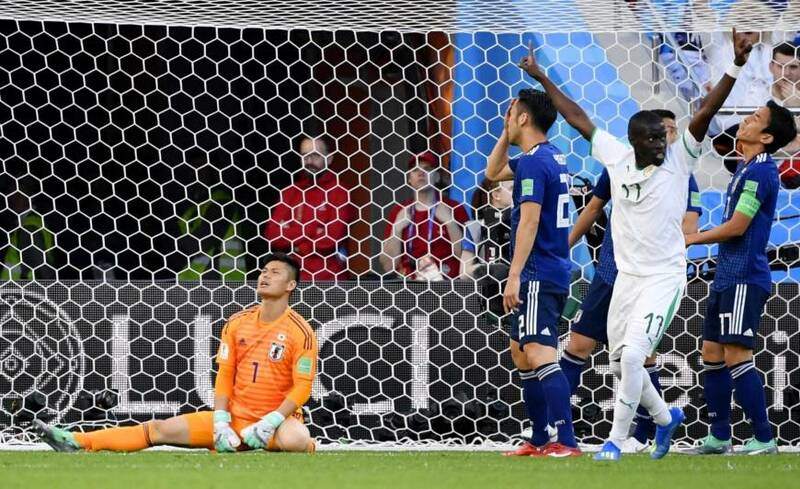 Kawashima — who was also seen by some as being at fault for Colombia’s goal in Japan’s opening 2-1 win — was disconsolate after the Senegal game, in which he saw 13 shots, seven on target, come his way. “My mistake put the team in a really difficult position but it’s great we refused to throw in the towel and got a draw,” the 35-year-old said. He claimed the mistake as “completely” his own, but he was certainly not helped by Genki Haraguchi having put the ball at Sabaly’s feet after a poor clearing header. Kawashima said he was “overly concerned with what was going on in front of me,” apparently referring to Haraguchi’s defensive blunder. After Takashi Inui drew Japan level, there was little Kawashima could do to stop Senegal nosing in front again when Moussa Wague finished after a fine sequence of passing. It was not just Keisuke Honda’s 78th-minute goal that got Japan out of jail a second time — according to Kawashima it was a team effort. If Nishino decides not to bring in one of his backup keepers — Gamba Osaka’s Masaaki Higashiguchi or Kashiwa Reysol’s Kosuke Nakamura — for Japan’s final Group H game, against Poland in Volgograd on Thursday, Kawashima promised to be ready. “I think we can take a lot of confidence from the way we played today and after the game against Colombia. The result of the next game is crucial, so I want to try and turn things around,” he said.